Topps' run with WCW cards came at a time when professional wrestling was at its peak. And while the run wasn't long, the Topps WCW autographs are among the best this side of the hobby has ever seen. 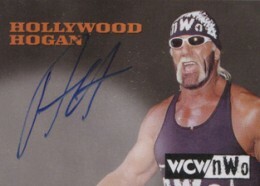 In just three sets released in 1998 and 1999, about 100 different wrestlers and WCW personalities lent their signatures to Topps sets. 1998 Topps WCW nWo, 1999 Topps WCW/nWo Nitro and 1999 Topps WCW Embossed all have comprehensive checklists that include some of the best wrestlers of the 1980s and 1990s. 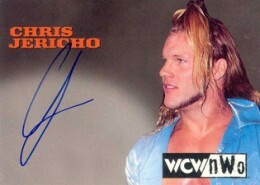 Shop for Topps WCW autograph cards on eBay. At the time, both WCW and WWF were hot but WCW had raided much of their rival's talent pool. Hulk Hogan, "Macho Man" Randy Savage, Bret Hart, Kevin Nash and Scott Hall are among the top names that fall under this category. Meanwhile, WCW still had some wrestling stars they helped develop on their own. Sting, Chris Jericho, The Giant, Eddie Guerrero (or Eddy as he was with Turner's company) and Goldberg are some of the notable options. 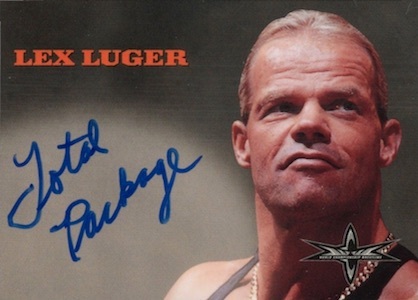 Topps WCW autographs are also a sad reminder of how many wrestlers passed away at a young age. 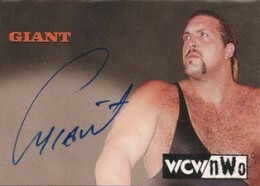 Beside Guerrero and Savage, collectors can also find signed cards from "Mean" Gene Okerlund, "Mr. Perfect" Curt Hennig, Ms. Elizabeth, Bam Bam Bigelow and Brian Adams. However, the most infamous of them all is Chris Benoit, who murdered his wife and son before killing himself back in 2007. Beyond the singles on eBay, for those looking to roll the dice on pulling WCW autographs from packs, be sure to find Hobby boxes. 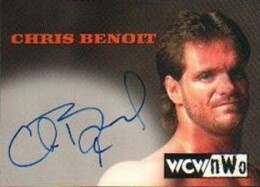 Topps also did Retail boxes for some of their WCW sets but these don't have any signed cards. Even in Hobby boxes, there are no guarantees you'll find one. The signature cards averaged about one in two boxes, which is a far cry from today's products with promised hits. 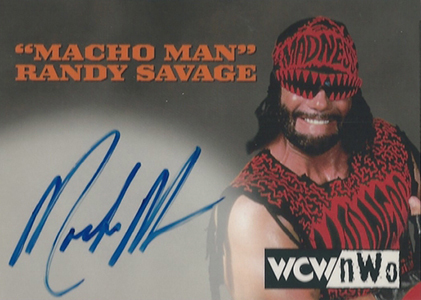 All things considered, the values for Topps WCW autographs remain very strong. Many collectors are working on sets, which keeps even the lesser stars in demand to a certain extent. The relative toughness, large checklists and dried-up supply also work out in the favor of sellers in a lot of instances, producing high prices. As a result, key stars and late wrestlers can sell for several hundred dollars. 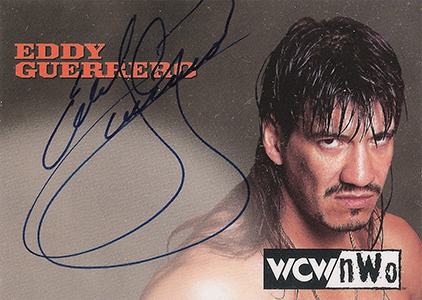 Use the tabs below for full checklists of all the WCW autographs Topps released in 1998 and 1999. There are also a handful of unreleased cards that have surfaced on the secondary market over the years. These are likely cards that were sent out and never returned. 37 cards. 1:40 hobby packs. Buy on eBay. 27 cards. 1:49 packs. Buy on eBay. The following cards have surfaced on the secondary market but were never inserted in packs. 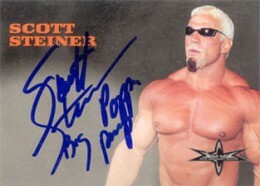 The likely explanation is that the wrestlers were sent the cards to sign but were never returned. While not official releases, they do exist. The set they're connected with is noted. 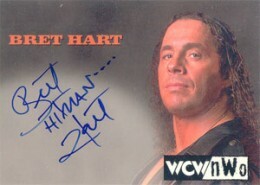 How much would you pay for an wcw/nwo kidman autograph card mint condition?